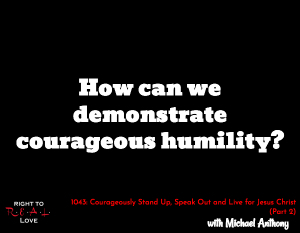 In this episode, Jay continues his discussion with pastor and author Michael Anthony by addressing the question: How can we demonstrate courageous humility? How can we demonstrate courageous humility? The value in spending time reading the Word of God. How we can be courageous wherever God puts us. How God can use any of us. Michael shares how he’s had to display courageous humility in his life.